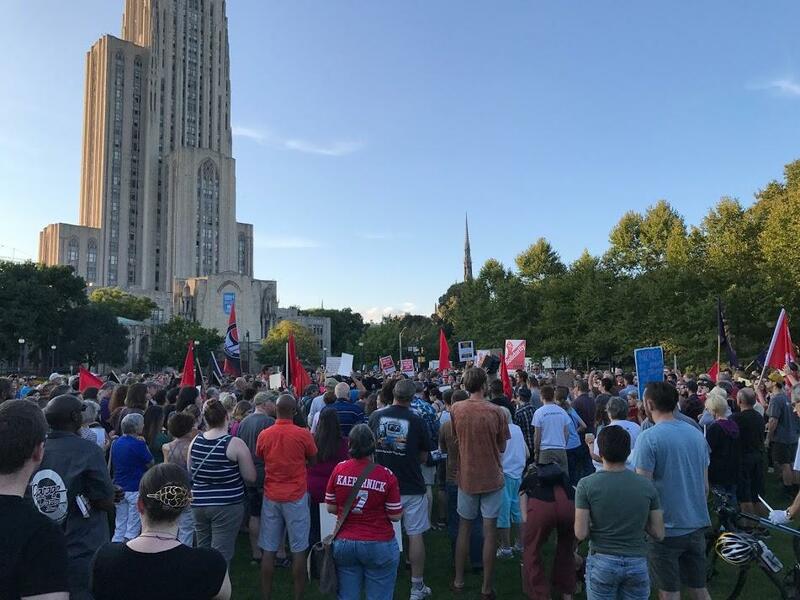 The crowd gathered at Schenley Plaza to stand in solidarity with counter-protesters of Saturday's white nationalist rally in Charlottesville, Va. The rally was as much a memorial for Heather Heyer as it was a call against racism, attendees said. Heyer is the woman who was killed when an alleged white supremacist drove his car into a crowd of counter-protesters at Saturday’s white nationalist rally in Charlottesville, Va. Two state troopers responding to the rally were also killed when their helicopter crashed, and at least 19 others were injured. Don Hammonds, an interim chaplain at Western Psychiatric Institute and Clinic, echoed the thoughts of many parents at the Pittsburgh rally who said they didn't know how to explain to their children what happened in Charlottesville and are concerned about their future. “I do worry, I do," Hammonds said. "I have four children and I would like to see them live in a world of peace and hope." The microphone was open for anyone who wanted to speak. 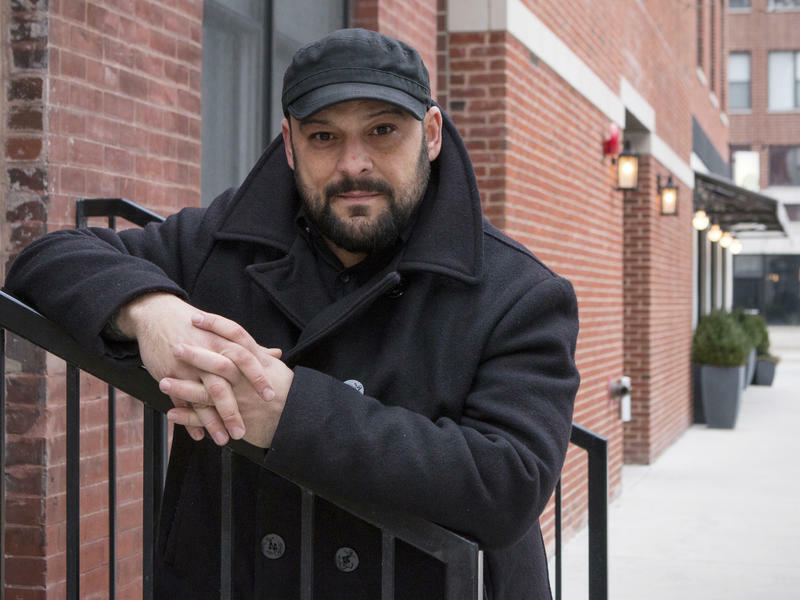 Many shared vows and requests to fight racism and the Trump administration, which they blame for perceived growth among the national white supremacist movement. 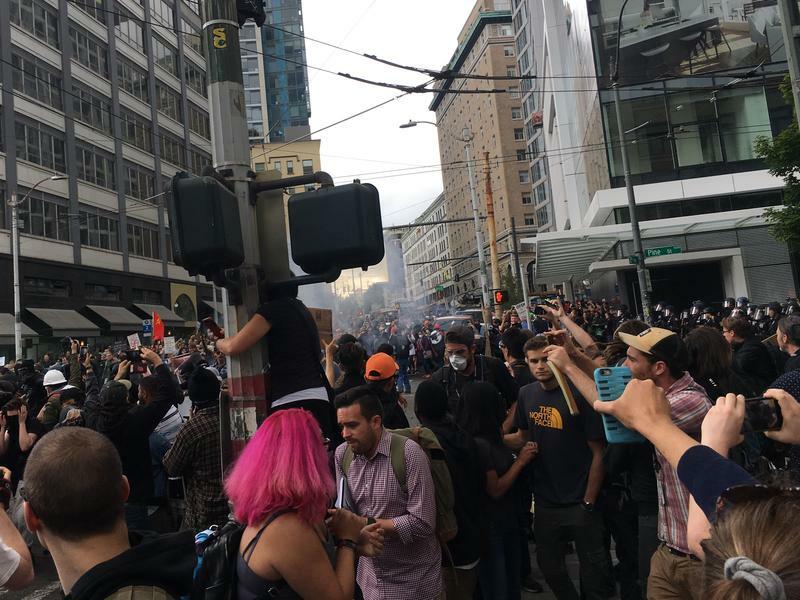 The majority of the crowd in Oakland was white. One woman, Rebecca Altes, held a sign that read, “don’t be racist white people! Teach your children, neighbors, family, self.” She said too many people believe racism doesn’t exist, or that since they don’t see it first-hand, it’s not a problem. She called on everyone to be more vigilant. “One of the things you have to do if you want there not to be racism is to work to combat it every day and work to figure out ways that it exists in you. If you don’t see it, and you don’t think it’s a problem – well that’s actually kind of a racist thing as well,” Altes said. A slate of speakers spoke out against racism, read poems and urged the crowd to be an active part of the fight. One day after deadly unrest roiled Charlottesville, Va., its effects have sent ripples through cities across the United States. Demonstrators from New York City to Seattle organized rallies Sunday to condemn the white nationalist groups that had descended on the Virginia city this weekend. 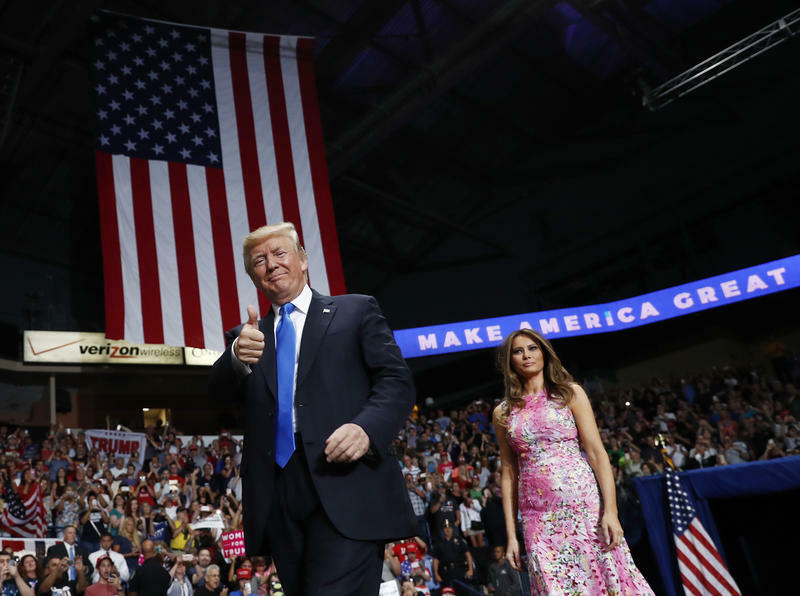 Is Southwestern Pennsylvania Still Trump Country?